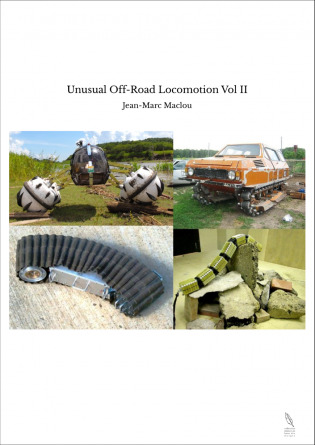 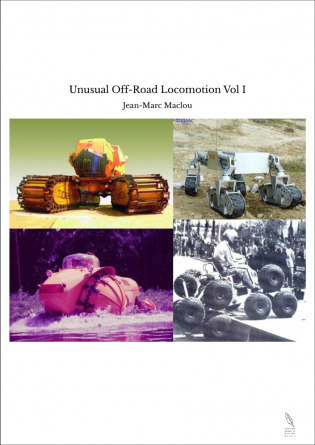 This book : Unusual Off-Road Locomotion for Enthusiasts, Volume II, issued from the site www.unusuallocomotion.com , deals with off-road means of locomotion on earth or planetary : wheels, tracks, screws, snake like robots, walking or hopping machines and even more. 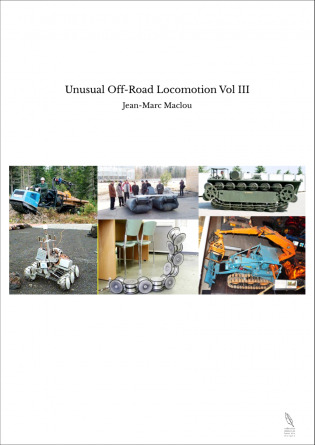 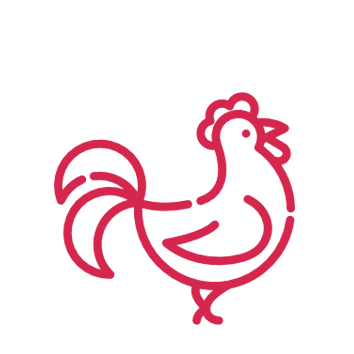 The enthusiasts will find a wide range of unusual off-road vehicles who should delight. 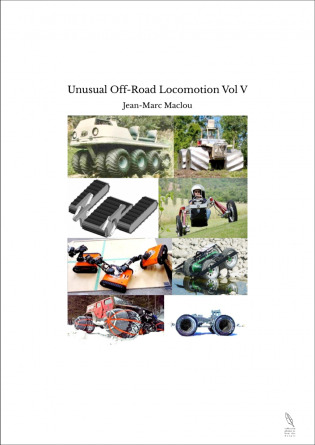 Ce livre : Locomotion Tout Terrain Hors Norme pour Passionnés, Volume II, issu du site www.unusuallocomotion.com ,traite des moyens de locomotion tout terrain sur terre ou sur planètes : roues, chenilles, vis sans fin, robots serpents, machines marchantes ou sauteuses et même plus.